Many cookies don't fit into the theme of the other pages. Easter, Fall, Summer, etc. You will find those designs on this page. Any cookie can be changed to colors of your choice. Please email us for changes and date needed. 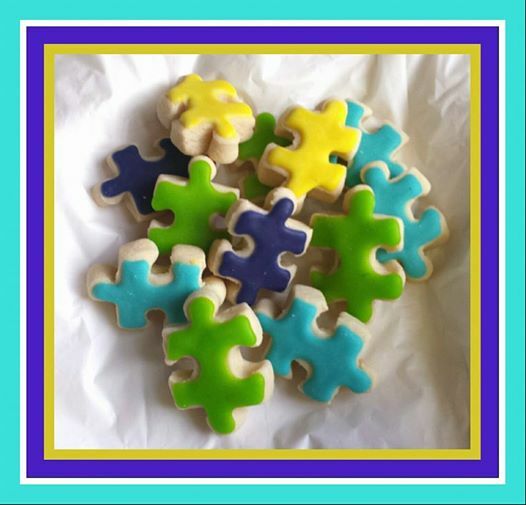 Cute little puzzle piece cookies are available in your choice of colors-up to 4 colors per order. Bite size approx. 1-1.5 inch in size. 3 dzn. A fun Easter collection of eggs, bunnies, and carrots. Wonderful spring colors. 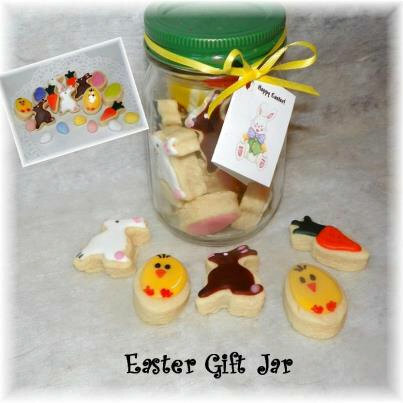 Cute and fun way to share Easter with little ones. 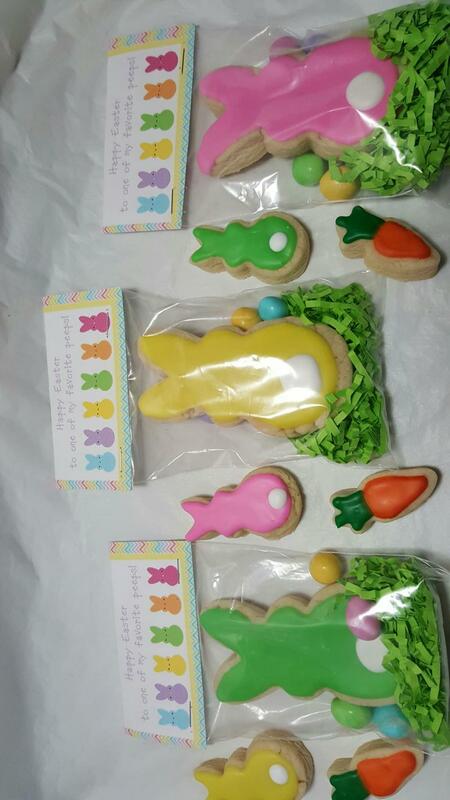 Each bag contains 3" bunny cookie or carrot cookie.. Handmade bag topper. 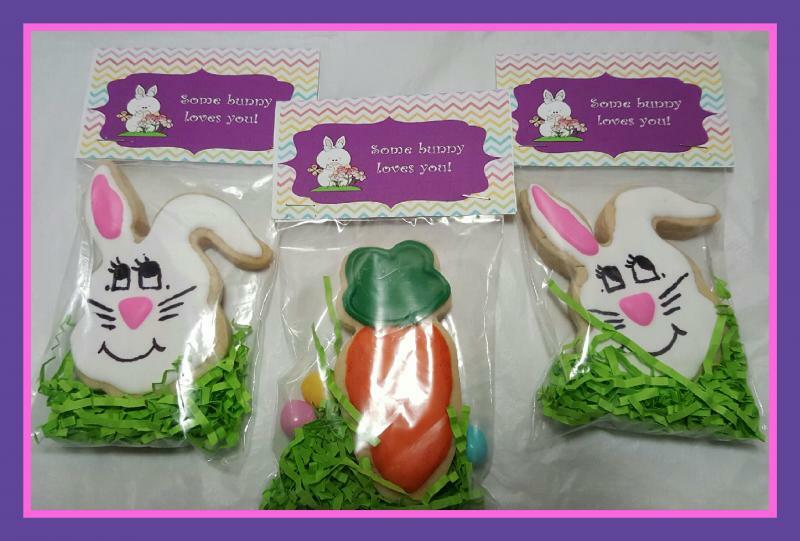 3 favor bags $10.00 (2 bunny cookies and 1 carrot). 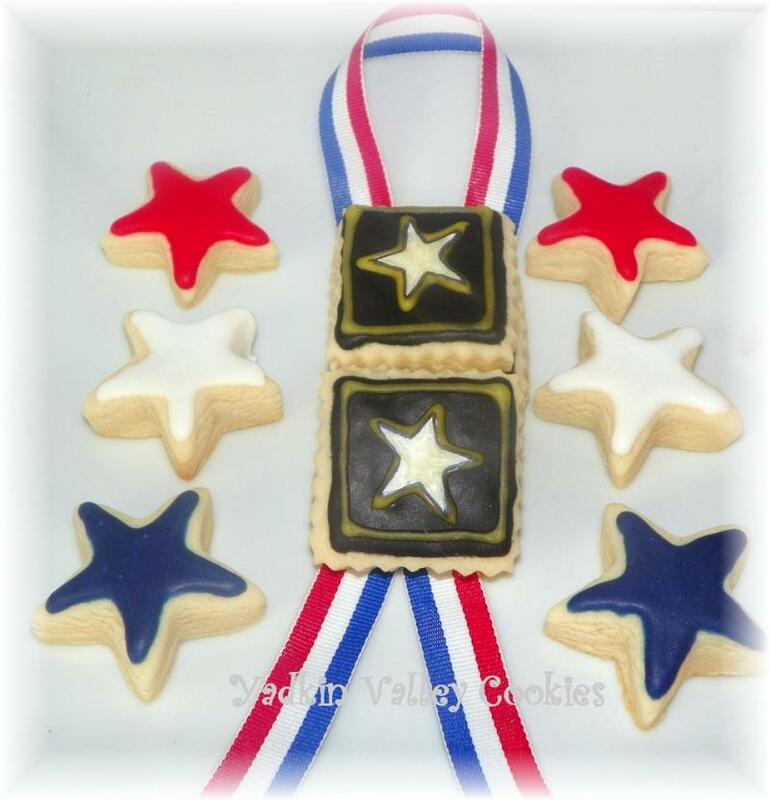 Add some fun cookie favors to your baskets, share with co-workers and friends. 3 cookie bags (2 cookies per bag). $10.00 variety will be sent. 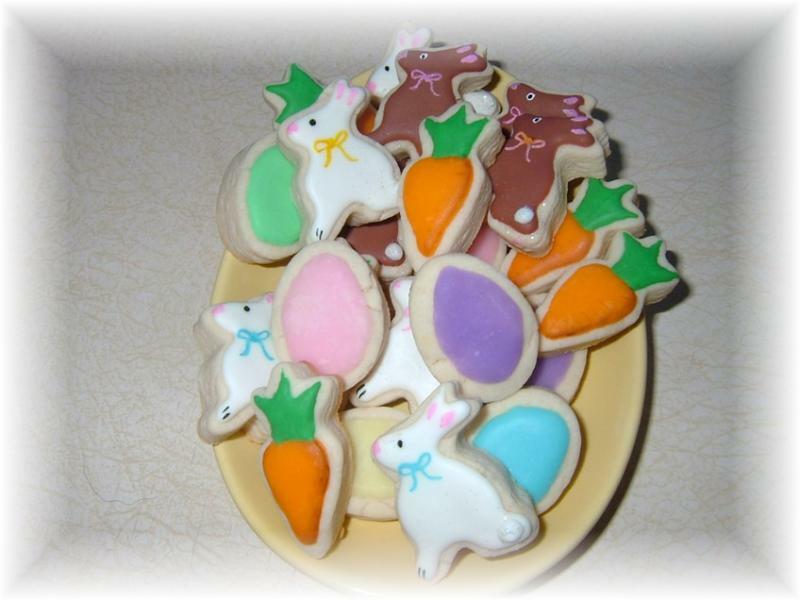 12-15 petite Easter cookies: chick,brown bunny,white bunny,carrot, and eggs make up this cutie. All packed nicely in a pint mason jar with painted green lid and handmade gift card. 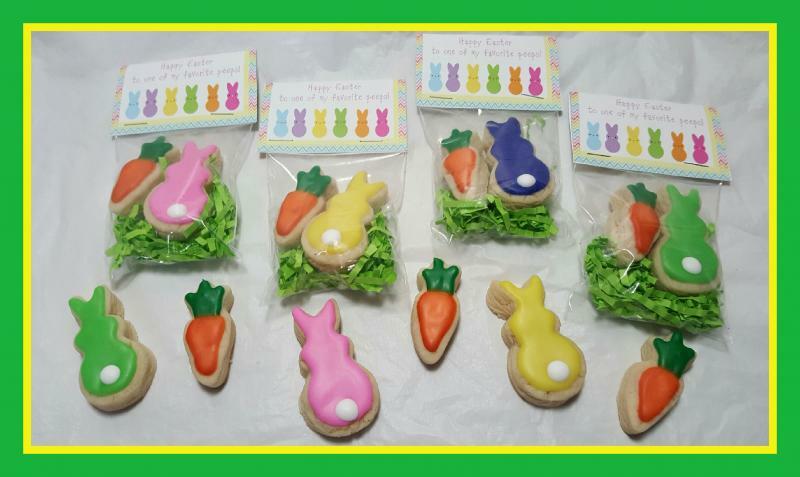 Spring Easter Bunny Cookie Favor, adorable and fun for any Easter basket or dinner. Individually wrapped with a tad of grass and mm's. Yummy!! 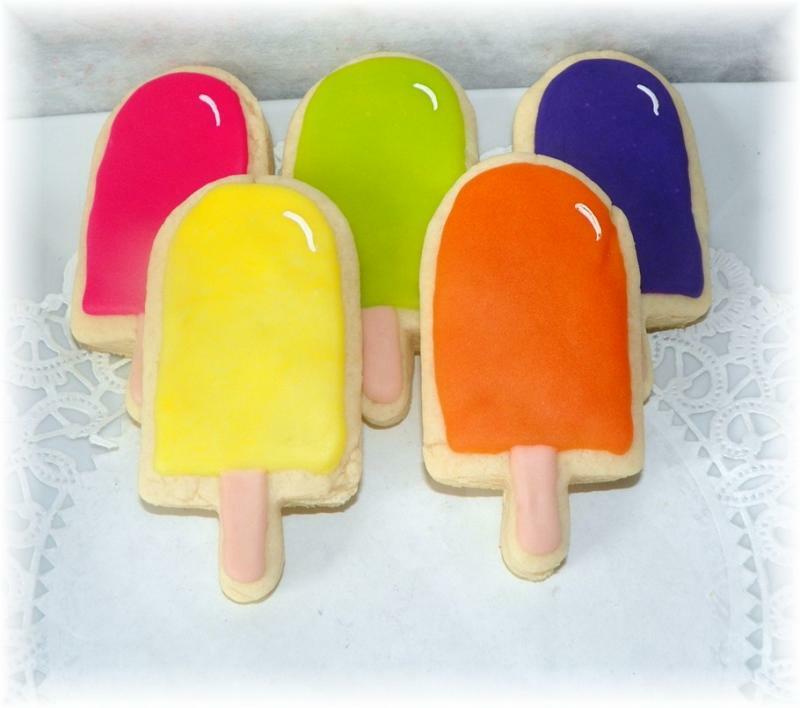 Cookie is approximate 2.5"
Super fun for your next party. 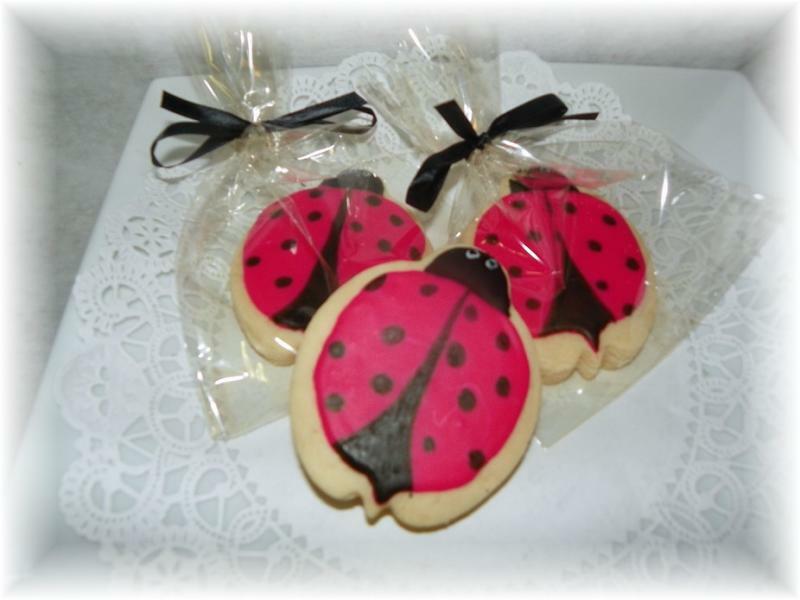 3.5 inch hot pink ladybug cookie favors. (Can be also done in red). Individually wrapped and tied with matching ribbon. 1 dzn favor $29.00. This was originally designed for Mother's Day, but definately suitable for many occassions like birthday, get well, etc. 1 dozen cookie gift box. 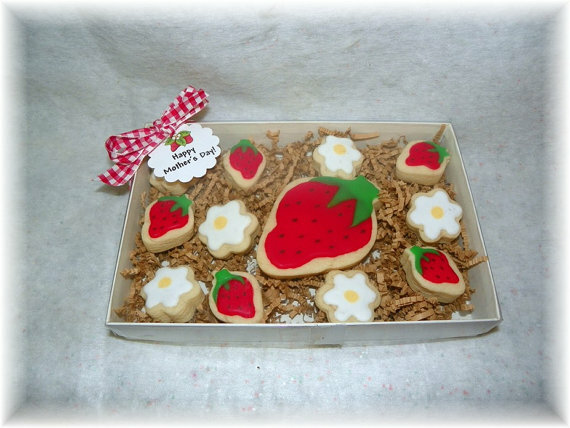 Strawberry in center is 4" cookie along with 11 petite size. Cookies are packed in a cello bag inside box before shipping. How cute is this?? 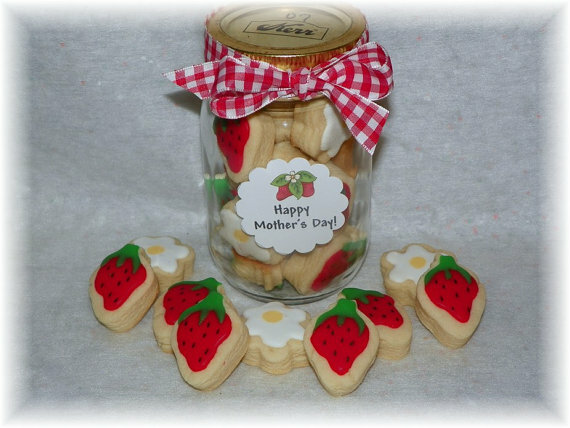 Pink Mason Jar packed with soft delicious strawberry and bloom cookies. 1 dozen little treats. Great party favors, get well gifts, Mother's Day!!! **Want a different saying on tag, please let us know when purchasing. 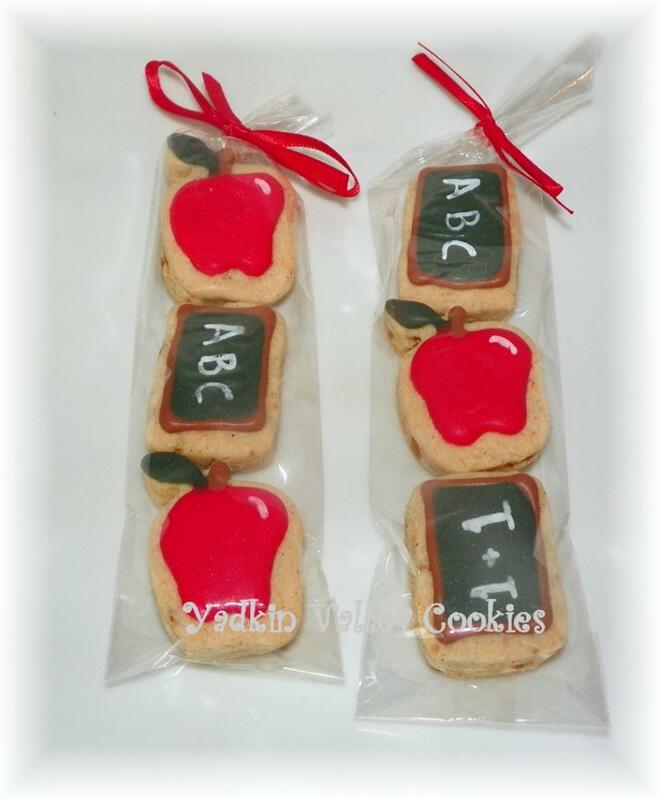 These fun apple cookie favors will make your favorite teachers smile. Teacher appreciation or thank you!!! 1 dzn. variety as shown in photo. Individually wrapped. Oh what fun you'll have with these at your next party!! 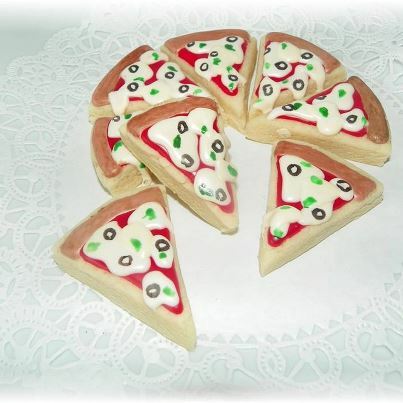 5" cookie made into a faux pizza with all the gooey toppings. 2 pizza's, total of 16 slices of pizza (or cookie). 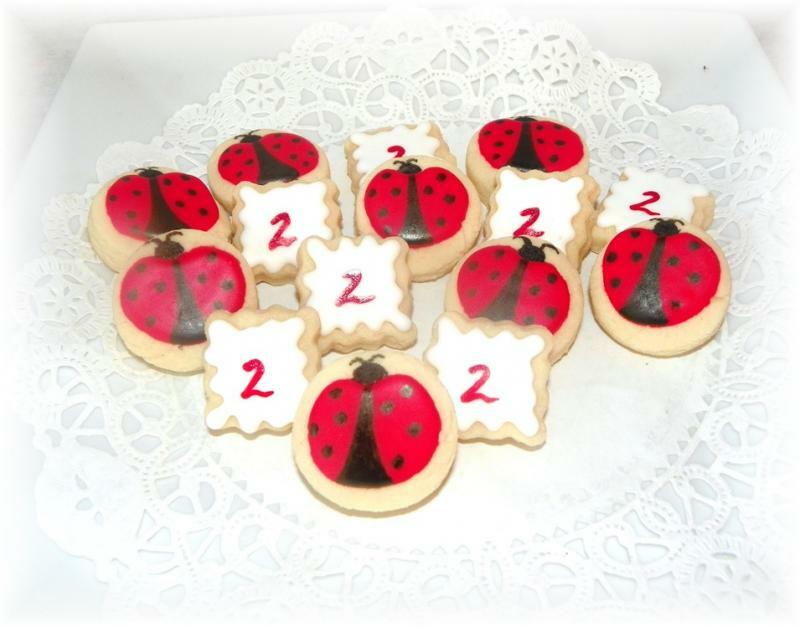 Ladybug cookie set is 3 dzn variety as shown in red, can personalize square with initial or number. If you want just all ladybug cookies just let us know. Approx. 1/5" in size. 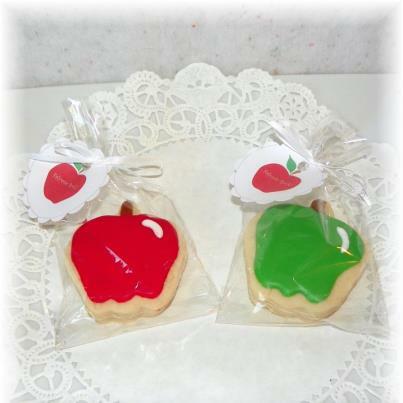 Have a fun school or birthday party, need something cute for your teacher friends. These adorable cookie favor bags are great! 3 cookies per bag, 3 bags per purchase. Welcome home or celebrate special time with your Army memeber. 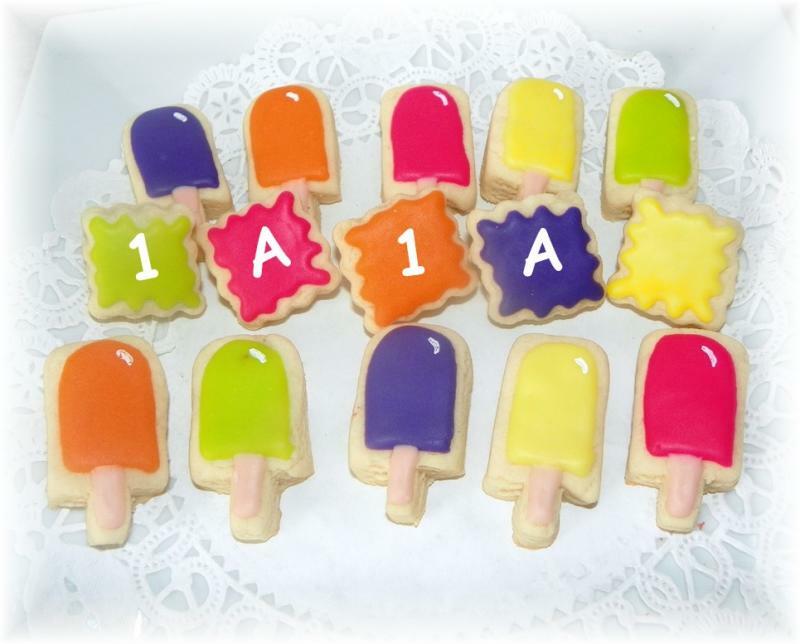 3 dzn variety as shown in photo above..
Fun for any pool or beach party, celebrate with the big popcicle favors. Each is individiually wrapped prior to shipping. 1 dzn variety. Don't we all love a good watermellon during the summer? Here you can have your sweet along with watermellon. 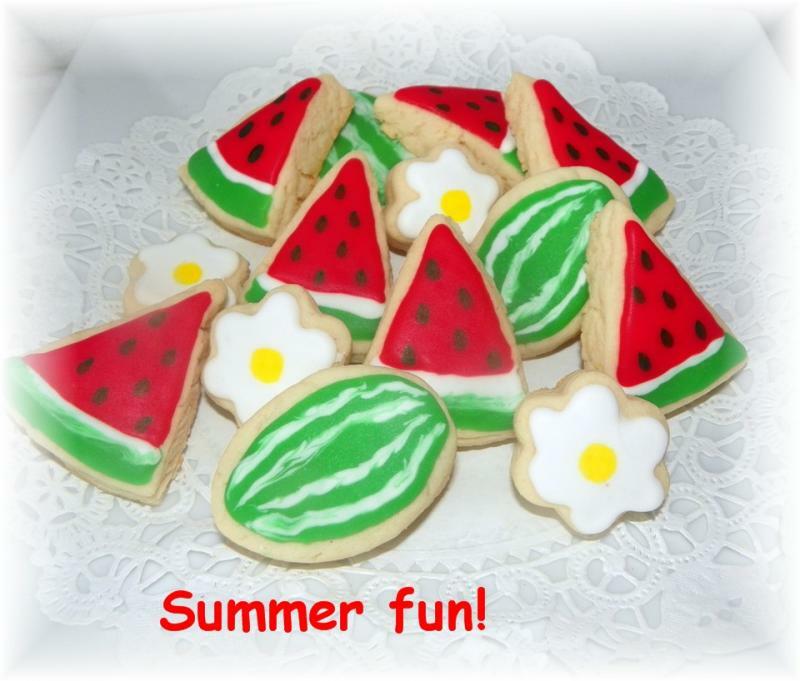 Decorative sugar cookie watermellons and blooms. 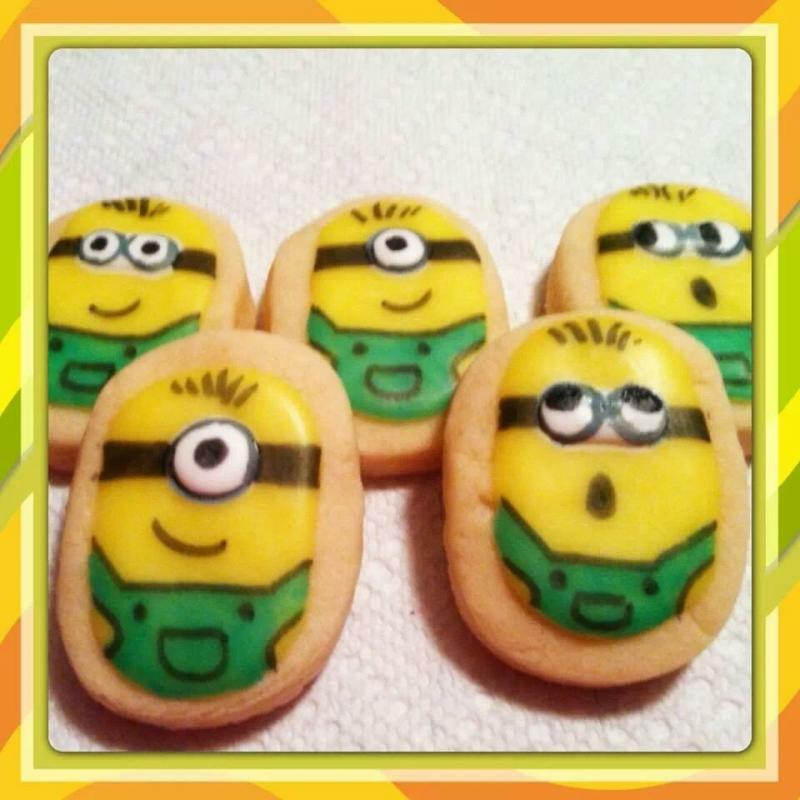 For the Minion lovers, these adorable cookies are just the thing. 3 dzn. Approximate 2" in size. 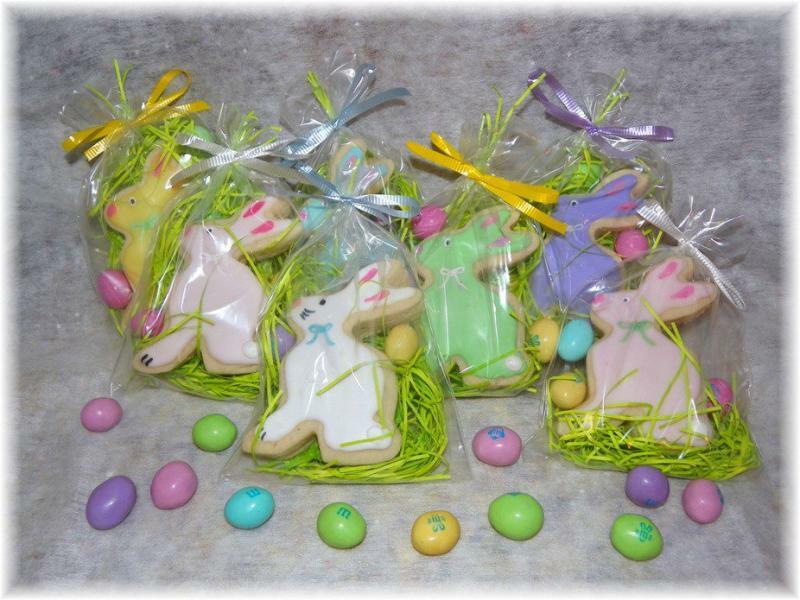 Share the love in a BIG way, this 4" Easter Peep Cookie favor will bring a smile to all. 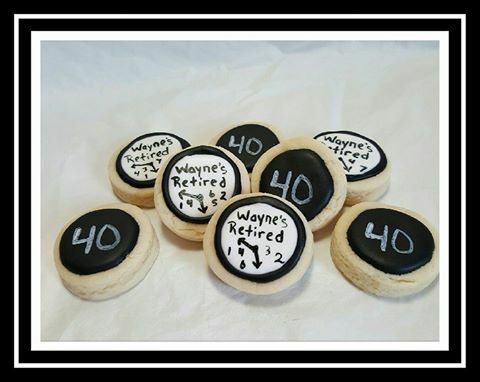 Every retirement party needs cookies. Here's the perfect match to any theme. Each cookie is hand painted with food coloring. These cookies are approximately 2 1/2-3" in size. Just let us know the year you'd like and if you need a different color. Be sure to email us if you need larger quanity of the favor bags or any other cookies. We can send invoice through paypal for this.